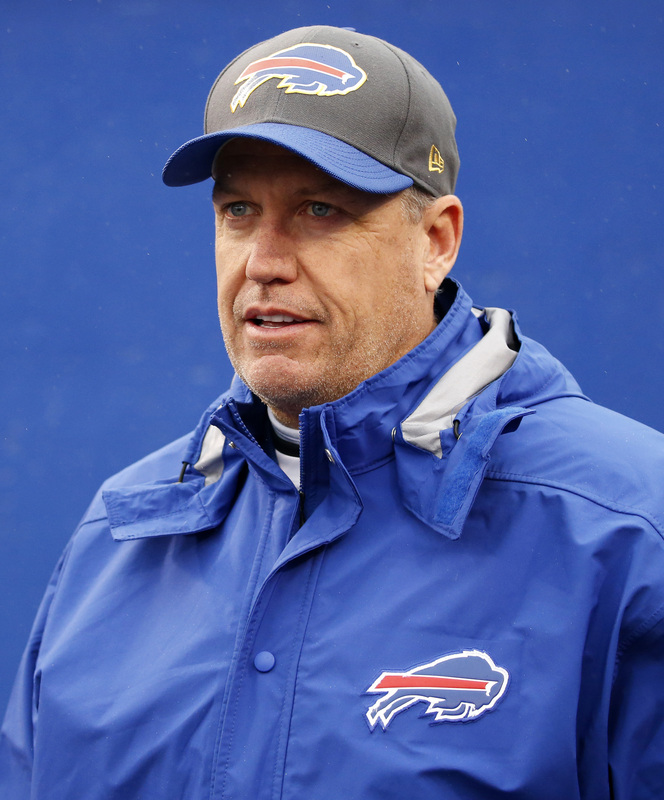 Chiefs To Consider Rex Ryan For DC Job? Former Jets and Bills head coach Rex Ryan is a name to watch for the Chiefs’ newly vacant defensive coordinator position, according to ESPN.com’s Adam Schefter (on Twitter). Schefter notes that Ryan has been approached about other DC openings in recent years. This may be a report to take with a grain of salt. It’s not clear whether Chiefs sources indicated the team’s interest to Schefter, or whether Schefter has received word from others around the situation such as Ryan himself, who is a fellow ESPN employee. Nonetheless, Ryan offers the kind of strong defensive pedigree and boisterous energy that the Chiefs may require. Last year, the Chiefs tied for the NFL lead with 52 sacks, but they was unable to pressure Tom Brady when it really counted on Sunday. On Tuesday, the Chiefs axed veteran DC Bob Sutton, opening up one of the most appealing DC jobs in the NFL. In late December, Ryan was said to be contacting potential assistants in the event that he were to become the Dolphins’ new head coach. Those talks, apparently, were premature – Ryan never landed an interview in Miami. There will be a ton of coaching rumors in the coming days, and we’ve already seen our first post-season firing. We’ve got a whole new round of notes ready, including an interesting tidbit about a very high profile name. Former Jets and Bills coach Rex Ryan is reportedly telling potential assistant coach candidates that he expects to land an interview with the Dolphins, sources told Armando Salguero of the Miami Herald. Ryan is an out of left field name who hasn’t been talked about much recently, but he’s apparently eager to get back into coaching. One important caveat here is that there’s no guarantee Adam Gase gets fired by the Dolphins, but Ryan is apparently expecting him to. Salguero notes that Ryan is also a candidate for the University of Miami’s open job, and that Ryan is telling associates he has a “solid chance” to land one of the two jobs, but that he’d prefer the Dolphins one. If Ryan somehow ends up coaching the Dolphins next year, it’ll be the third AFC East team he’s led. Speaking of Gase, there have been conflicting reports about his job security recently. For his part Gase denied thinking about it much after his team’s blowout loss to the Bills, saying “I mean I’m not even thinking about that right now because we just got drummed on the road”, according to Cameron Wolfe of ESPN.com (Twitter link). Wolfe also notes that Gase said he didn’t speak much with owner Stephen Ross, who was in the locker room after the game. We heard earlier today that multiple teams were considering trying to trade for Ravens coach John Harbaugh, and now we have a better idea of which teams. The Dolphins and Broncos are two teams that have expressed interest in trading for Harbaugh, according to Roy Cummings of Florida Football Insiders (Twitter link). While he notes the Buccaneers haven’t yet been linked, he thinks they “could get into the mix” eventually. The Ravens won the AFC North today, but Harbaugh could still be available, especially if Baltimore goes one and done in the playoffs. It’d already been reported that Ron Rivera was likely safe in Carolina, and now it’s official. New owner David Tepper has informed Rivera personally that he’ll be back coaching the team in 2019, a source told Albert Breer of SI.com (Twitter link). It was a disappointing season for the Panthers after they completely collapsed after jumping out to a 6-2 record, but the explanation of injuries and Rivera’s track record with the team saved his job for at least another year. Did the Jets make a franchise-altering mistake by not taking quarterback Deshaun Watson? Some within the organization believe that’s the case, particularly those who lobbied hard for him during the draft, Manish Mehta of the New York Daily News writes. Mehta hears that some Jets officials were willing to trade a 2018 first-round pick plus Muhammad Wilkerson to move back into the first round to select Watson. One can’t help but wonder whether the inclusion of Wilkerson in a trade offer would have helped the Jets’ chances. Wilkerson was once one of the league’s best values on the defensive line, but that went out of the window when he signed a five-year, $86MM extension before the start of last season and regressed sharply in 2016. Jets fans can dream about a scenario in which a future first-round pick, Wilkerson, and perhaps other draft considerations would have been enough to sway the Browns or Saints, but it’s hard to totally buy into that idea. After the Bills managed to unload Marcell Dareus, Rich Cimini of ESPN.com wonders aloud if the Jets could move Wilkerson before Tuesday’s trade deadline. He rightly concludes that a trade is highly unlikely. Aside from his onerous contract, Wilkerson’s production has still not returned to 2015 levels and he is dealing with multiple nagging injuries. Recently, former Jets coach Rex Ryan said that he never saw Mark Sanchez as a “franchise quarterback,” but felt that he was good enough to “win with.” Those comments stand in stark contrast with what he wrote in his 2011 book, as Mike Florio of PFT notes. Ryan wrote that Sanchez was going to be “extraordinary in the NFL” and explained the thought process behind trading up to the No. 5 pick in the draft to get him. Ryan, it seems, is looking to rewrite history a little bit. This all may be part of an effort to to work his way back towards becoming an NFL head coach, but that seems unlikely at the moment. 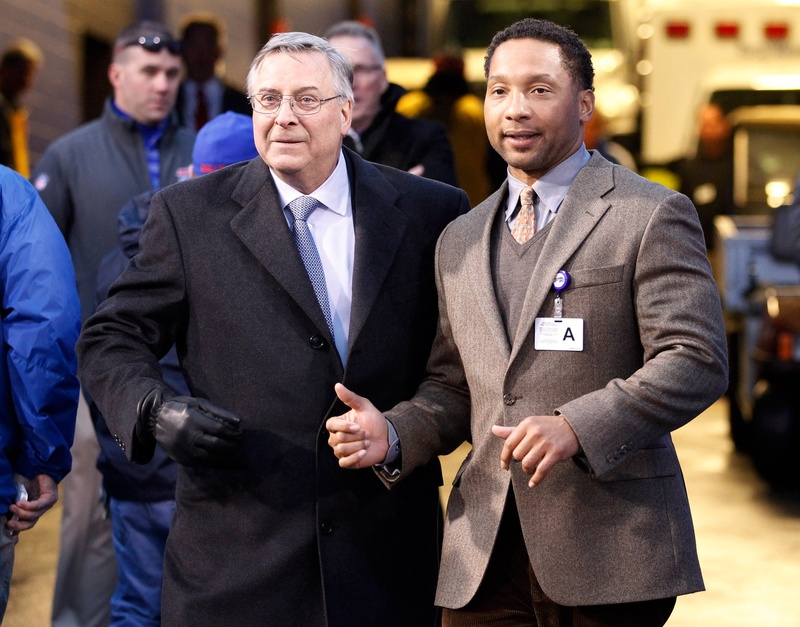 The Bills parted ways with Rex Ryan last December in part because of the coach’s declaration that the season was over when the playoffs were still in reach, Albert Breer of The MMQB writes. Ryan was believed to be on the hot seat in Buffalo, but that incident apparently sealed his fate. 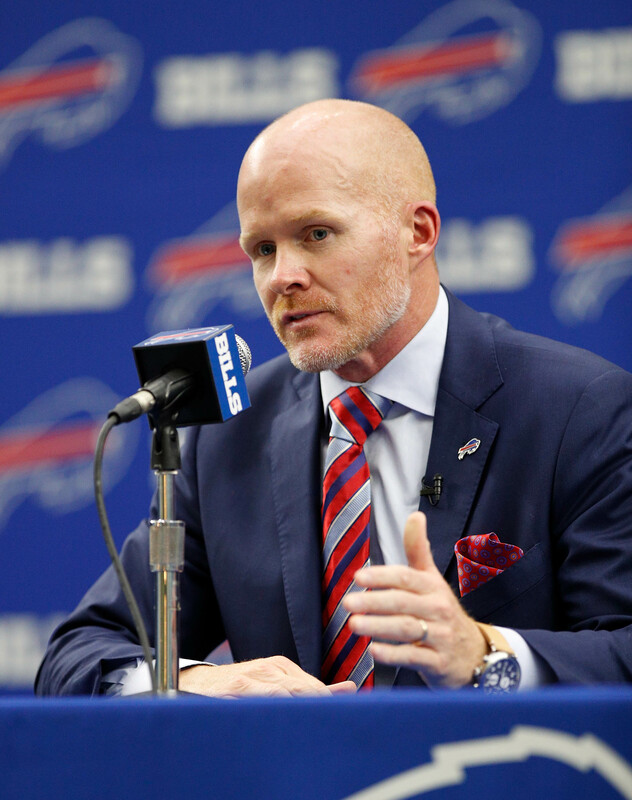 Months later, the Bills have a new head coach in Sean McDermott and Ryan has a new job as an analyst for ESPN. New Jets quarterback Josh McCown said his understanding is “it’s full competition between the three” QBs currently on the roster, meaning that he’ll duke it out with Christian Hackenberg and Bryce Petty for the main gig (Twitter link via Ralph Vacchiano of SNY). McCown, 38 in July, has $6MM fully guaranteed on his Jets deal. The Cowboys also wanted him, but they didn’t offer nearly as much. Jets owner Woody Johnson says he will judge his team based on development this season rather than wins and losses, as USA Today’s Andy Vasquez writes. “Really, the way I want to be judged, hopefully from the fans’ standpoint, is just watch how we improve during the year,” Johnson said Tuesday on ESPN Radio. 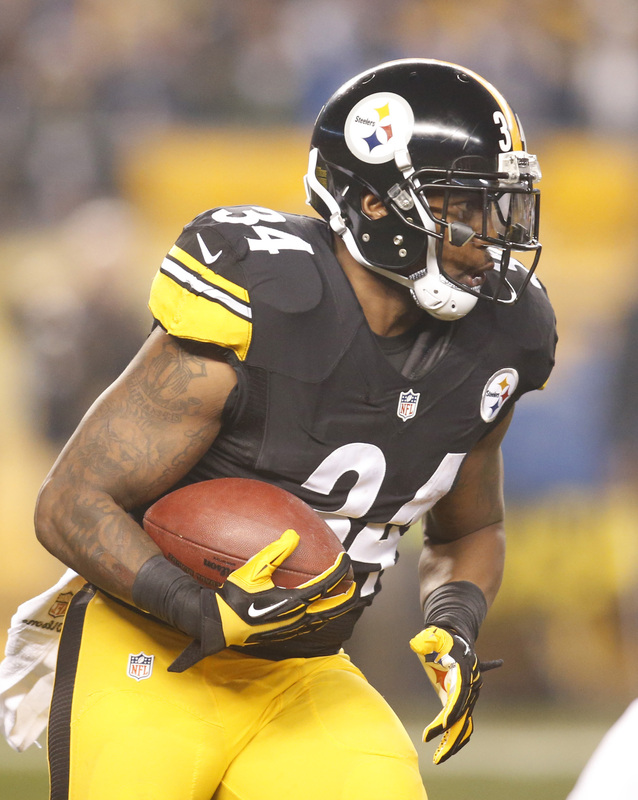 “Look at each individual on the team and if they’re getting better, that’s a mark of progress. That’s what we’re looking for.” That could be good news for coach Todd Bowles and GM Mike Maccagnan since the Jets’ roster is among the worst in the league. Patriots cornerback Malcolm Butler didn’t get the long-term deal that he wanted, but he reported to the team’s voluntary workouts this week. Dolphins running back Damien Williams wants a raise, but he doesn’t have much leverage. 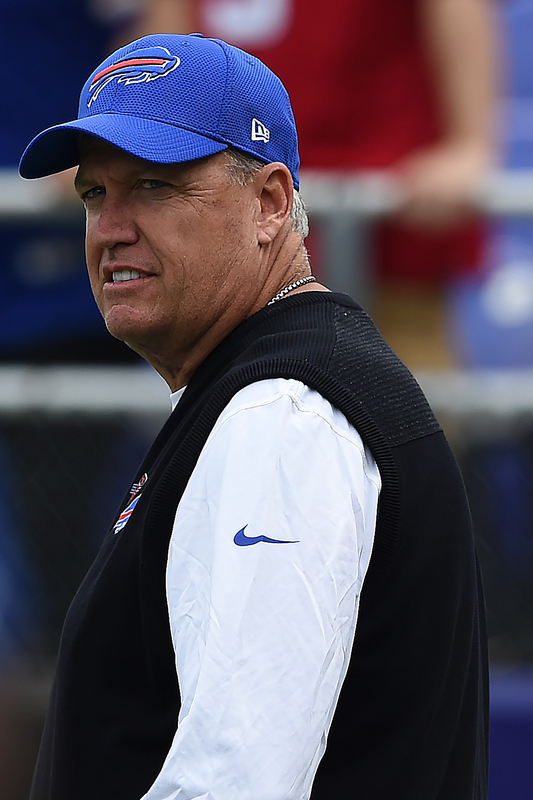 Rex Ryan says he still has interest in coaching, but he won’t be on the sidelines in 2017. The former Jets and Bills head coach has signed a multi-year deal to be on ESPN’s Sunday NFL Countdown, according to Manish Mehta of the New York Daily News. Ryan first auditioned for the gig when he served as a guest analyst on Super Bowl Sunday. As one of the most colorful personalities in the game, he was a natural fit for the job. In January, even as Ryan said that he still had an itch to coach, he admitted that he had interest in a broadcasting career. In that January interview, Ryan said he is interested “at all” in a defensive coordinator job “at this time.” Of course, after washing out in Buffalo, he wasn’t a viable candidate for any NFL head coaching position. Interestingly, he did not rule out returning to the Jets someday in some capacity. When Rex Ryan was hired as the coach of the Bills, he said that Buffalo would be his final stop as a head coach. Two years later, he’s out of a job, but he’s not necessarily ruling out a return to a head coaching gig if he gets the right opportunity, Manish Mehta of the New York Daily News writes. Interestingly, Ryan says that he would not close the door on someday returning to the Jets in some capacity. Coach Todd Bowles has been retained for a third season, but as Mehta notes, there’s no telling what Woody Johnson could do in 2017 if things do not go according to plan. In the meantime, Ryan says he’ll do some television work. His next assignment will have him serving as a panelist on ESPN for Super Bowl weekend. The Browns’ firing of defensive coordinator Ray Horton is not yet official, but the team is leaning toward making a change, Ian Rapoport of NFL.com was among those to report (Twitter link). Should Horton get the ax, Rams defensive coordinator Gregg Williams would be in prime position to succeed him in Cleveland. The Browns have given Williams until Monday to accept the job, according to Sporting News’ Alex Marvez (Twitter link). The Bills have requested an interview with Seahawks defensive coordinator Kris Richard, per Mike Garafolo of NFL Network. Panthers D-coordinator Sean McDermott‘s Wednesday meeting with the Bills went very well, notes Garafolo (Twitter links). Falcons offensive coordinator Kyle Shanahan‘s head coaching interviews with the Jaguars and 49ers took place Friday, tweets Jason Cole of Bleacher Report. Shanahan will meet Saturday with the Broncos, relays Cameron Wolfe of the Denver Post (Twitter link). The 37-year-old reportedly prefers the Broncos’ job to the other openings around the league. The Redskins, in search of a defensive coordinator, have received the Panthers’ permission to interview assistant head coach/defensive backs coach Steve Wilks, writes Mike Jones of the Washington Post. Rapoport connected Wilks to the Redskins on Thursday, noting the coach’s relationship with ex-Panthers and now-Redskins cornerback Josh Norman. Unsurprisingly, Rex Ryan won’t work anywhere as an assistant next season, reports Chick Hernandez of CSN Washington (Twitter link). The two-time head coach will wait for a third opportunity to come along in 2018; in the meantime, he’s likely to take a job as a television analyst. Check out PFR’s Head Coaching Search Tracker to keep up with all the latest interviews.